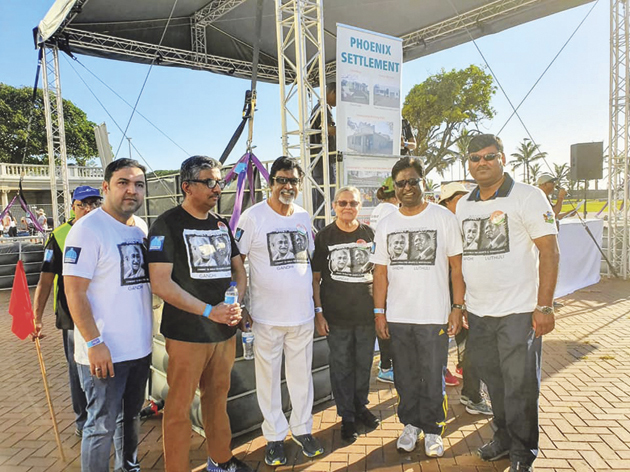 The 15th annual Salt March took place in Durban on Sunday, 14 April from the Amphitheatre to uShaka and back. 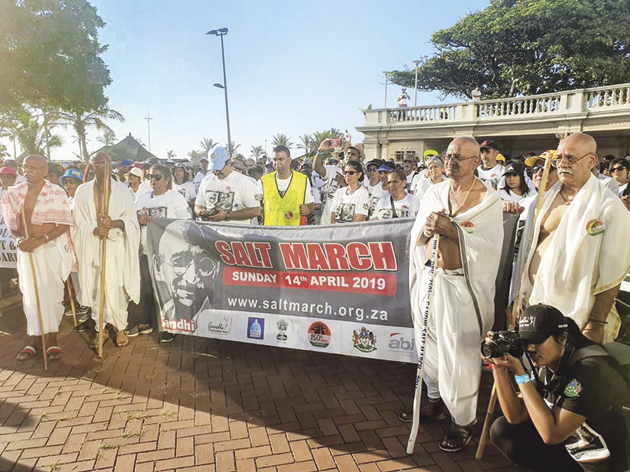 This year’s march was dedicated to the 150th birth anniversary of Kasturba Gandhi and the memory of Nokukhanya Luthuli, the wife of Chief Albert Luthuli whose life is also celebrated in the Salt March annually. Participants in the march made a commitment of gender awareness, saying no to patriarchy, no to women and child abuse and promoting a culture of non-violence and Ubuntu. The first Salt March was organised 15 years ago in 2005. 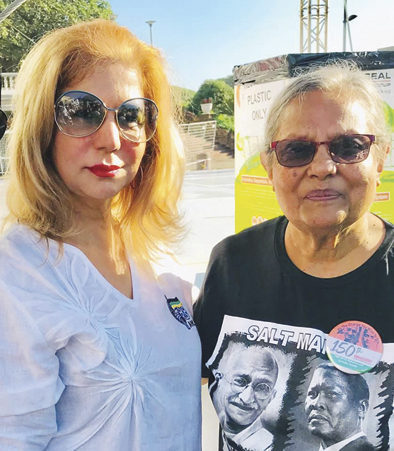 It was in celebration of the 75th anniversary of the famous Salt March held in India from March to April 1930, and the 50th year of the Freedom Charter which was drawn up at the Congress of the People held in Kliptown on 26 June 1955. A tribute was paid to Mahatma Gandhi whose contribution to the promotion of non-violence and spirituality in all aspects of life is celebrated. At the same time, tribute is also paid to Chief Albert Luthuli under whose leadership the Congress of the People took place where the freedom charter was adopted. The two anniversaries form an important tie that binds these two important events together.